What Was There Before The Name? 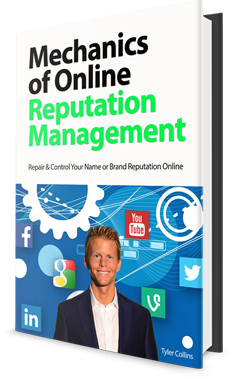 For some career experts in search engine optimization and digital marketing, online reputation management has been a practice since before it was called online reputation management. Impacting top positions in search with a website or content property for a given search query is the fundamental goal of any SEO (search engine optimization) strategy. A special few of the more visionary practitioners have always aimed to control an entire search vertical, because they know that the more results they control on the first and second page of the search results, the more visibility, influence, and authority they have in the marketplace. Socially influenced content visibility propelled by the rapid development of voicing platforms for any person with an Internet connection has significantly accelerated the problems that surround businesses and individuals in need of online reputation management. Why A Rise In Demand? Naturally, people who use search engines regularly entertain their curious desire to search their name or brand name in the search engine. Business owners and executives started catching on first, realizing that the content referencing their business in search results could have a positive or negative impact on their brand. Upon discovering content and media with a negative sentiment, businesses and executives began seeking solutions to repair and control search results. Individuals followed suit as they discovered they could do the same for their personal name. When Did Reputation Management Services Become Available? Following demand, reputation management service options gained traction and became available to people and organizations. Services range from content removal campaigns, positive consumer review strategies and solicitation, search engine optimization, negative property suppression, branding and re-branding, and many slices of proactive and preventative measures designed to cleanse, repair, polish, and dictate what appears in search engines, on news sites, and across business and professional profiles and review sites. From DIY (do it yourself) options to high price done for you options, individuals and businesses today can choose from a plethora of reputation management strategies. One of the purposes of this book is to help the reader navigate those choices and become educated about the nature of reputation management problems, intelligently investigate the available services, and make educated decisions around the most viable strategies for their given situation. To quickly access reliable reputation management services, hop to the Services page.